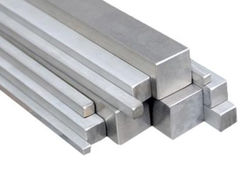 Our product range includes a wide range of aluminum flat bars, aluminium hex bars 6063, aluminum square bars he 30, aluminum square bar 6063, aluminum bars and aluminum round bar 6082 t6. We manufacture and supply Aluminum Flat Bars section in various grades and dimensions, as per the requirements of our valued clients. Our wide range of bars is made from superior quality raw material, as per the industry standards. These aluminum bars undergo stringent checking to ensure their flawless quality and durability. is an aluminum alloy, with magnesium and silicon as the alloying elements. Generally, it has good mechanical properties and is heat treatable and weldable. 6063 is mostly used in extruded shapes for architecture, particularly window frames, door frames, and roofs. It is typically produced with very smooth surfaces fit for anodizing. It displays very good corrosion resistance, medium fatigue strength, and good cold formability. 6063 is often called architectural aluminum for two reasons - first, it has a surface finish that is far smoother than the other commercially available alloys, and second, its strength is significantly less (roughly half the strength of 6061), making it suited for applications where strength is not the foremost consideration. 6063 is rated as "Good" for forming and cold working operations, "Excellent" for anodizing, and "Fair" for machining. This is generally considered to be an extrusion alloy that is heat treatable for strengthening. 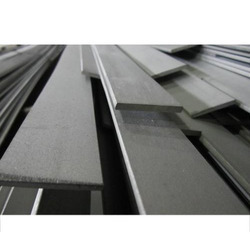 Aluminum bar is an extruded aluminum product available flat, square or rounded. The bar is used for stamping, casting or machining a finished product. Aluminum’s anti-corrosion, high strength, low weight, and thermal conductive properties are useful for support, structural and high heat applications. 6063 aluminum bar is known primarily as an architectural grade of aluminum due to its attractive, smooth finish. It exhibits the same strength, lightweight, and anti-corrosion properties as other grades. 6063 aluminum is also easy to form, extrude and weld, making it a good material for custom decorative components. Anodizing increases its corrosion-resistance for exposed products. 6063 aluminum bar is used for extruded and formed parts that can combine support with decoration. It is used for trim, decorative screens and grates, and ornamental frames and supports. Flat : Thicknesses: 0.1875" thru 4.5" Widths: up to 6"
Round : Diameter: 0.1875" thru 12.125"
Square : Sizes: 0.375" thru 6"
Owing to the dexterous professionals, we have been able to provide the customers with a commendable assortment of Aluminum Bars. Our offered aluminum bars cater to the requirements of various industries and are manufactured using superior-grade raw material and other basic components that are sourced from reliable vendors of the industry. Dimensional accuracy, high tensile strength and corrosion resistance are some of the quality attributes of this product. Being a Stockiest our main job is to cater the clients with the best quality products anytime, anywhere. For that we have a huge communication set up with us. The associates are spread across various regions. Our network is extremely sound and updated. 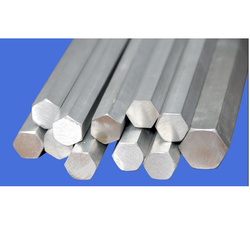 We are an eminent organization engaged in offering our reliable patrons an unparalleled range of Aluminum Square Bar 6082 T6. 6082 Aluminum Square, is an extruded aluminum product that is very versatile and has a wide range of applications. The aluminum 6082 alloy is strong, easily machined, and weldable. Aluminum 6082 alloys are doubled the strength of aluminum 6063 alloys. Aluminum 6082 has an ultimate tensile strength of at least 42,000 psi (290 MPa) and yield strength of at least 35,000 psi (241 MPa). In thicknesses of 0.250 inch (6.35 mm) or less, it has elongation of 8% or more; in thicker sections, it has elongation of 10%. T651 temper has similar mechanical properties. The famous Pioneer plaque was made of this particular alloy. Order 6082 T6 Aluminum Square Bars in 6082 Aluminum in small quantities and no minimums of all Aluminum 6082. The 6082 aluminum plate is known for its weldability and its excellent machinability, making it versatile for a wide range of applications and end-uses. We hold in stock a range of aerospace aluminum materials in the 2XXX series and the 7XXX series, and materials in the 5XXX series for the ship building industry. 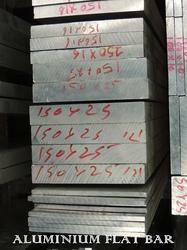 We also hold commercial aluminum alloys in the 1XXX, 5XXX and 6XXX series. 6082 is one the most versatile of the heat-treatable aluminum alloys. It has good formability and weldability, as well as high corrosion resistance. Additionally, 6082 offers a wide range of mechanical properties and can be fabricated by many of the commonly used techniques. 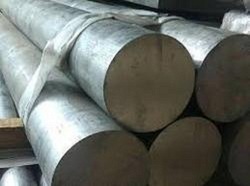 6082 is the most economical of the heat-treatable aluminums. Workability: Easy to Weld, Cut, Form and Machine. Aluminum Square Bar Type 6082-T6 ASTM-B211 This Aluminum/Silicon/Magnesium alloy has been solution heat treated and artificially aged. Machines well with excellent welding qualities. Resists stress cracking. Good formability with medium strength and high corrosion resistance. Used in many heavy-duty structures, particularly for transportation and marine applications. Welds well with proper equipment. Easy to Drill, Machine, Saw and Punch. Brackets, Frames, Fixtures, Ornamental Work, Etc. Alloy 6101 is prominent in bus conductor extruded products. As a heat treatable wrought alloy, alloy 6101 is best suited for applications involving moderate strength and maximum electrical conductivity. It is similar to alloy 6063, but with minor chemistry changes which enhance electrical conductivity. Although slightly lower in conductivity than alloy 1350, it offers greater strength. Alloy 6101 can be produced in extruded rod, bar, structural profiles, structural and seamless pipe and tube. Although this alloy is primarily used for bus conductor applications (bus bar is available with sharp corners or radius corners), it is also an excellent choice for other electrical projects. This alloy is available in various temper conditions and as a result, the purchaser does not have to worry about additional heat treating. The wide variety of tempers provide different strengths, formability, and electrical conductivity levels which allows for design flexibility. Consult the Material Safety Data Sheet (MSDS) for proper safety and handling precautions when using 6101 alloy. This alloy is easily extruded and has better machinability than our 1XXX alloy series. Alloy 6101 offers good weldability, corrosion resistance, bendability, formability, and electrical and thermal conductivity. It satisfies all ASTM B 317 specifications for a wide variety of tempers covering a broad range of mechanical properties and electrical conductivity levels. 6101 (UNS a96101) is an aluminum bar containing a heat treatable wrought alloy best suited for applications involving moderate strength and maximum electrical conductivity. 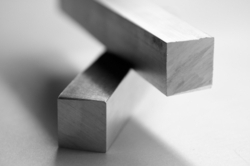 We offer an assortment of Aluminium Busbar 6101 T6 in various sizes, width and thickness. These can also be customized as per the specifications of the customers. Our aluminium Busbar are widely used in diverse industries due to their high tensile strength, unmatched quality and durability. Aluminium Bus Bars for power distribution give an economic advantage compared to copper bars due to the lower cost of aluminium and to a significant difference in the weight / volume. In fact aluminium bars weigh up to 70% less than copper bars, compared with a reduction in electrical capacity of only about 30%. The use of aluminium bars for carrying electrical current is therefore recommended in switchboards, distribution equipment and systems where there are no space problems, or where weight reduction is critical. Aluminum Bus Bars for power distribution give an economic advantage compared to copper bars due to the lower cost of aluminum and to a significant difference in the weight / volume.In fact aluminum bars weigh up to 70% less than copper bars, compared with a reduction in electrical capacity of only about 30%.The use of aluminum bars for carrying electrical current is therefore recommended in switchboards, distribution equipment and systems where there are no space problems, or where weight reduction is critical. 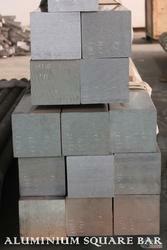 Aluminium solid bars with rounded corners are available with a Thickness of 10 mm and length of about 4 meters. We are leading manufacturers of Aluminum Busbar (flat bar) electrical grade tubular & flat bus bars that are known for their excellent electrical conductivity properties & very good bending properties . These cater to the panels, switchgear, earthing & other electrical bus bar applications & related industries and are available in different sizes, thickness and widths as per the requirements of the clients. Our design capabilities include complete machining, forming, brazing & welding processes plus plating & coating services. We produce innovative designs for high performing aluminum bus bars that weigh less, resulting in reduced labor cost due for installation and support. We enables companies to fulfill their project requirements with a wide selection of excellent quality aluminum bus bar products. Aluminum is critical to a diverse range of applications in industries ranging from transportation, electronics, and construction, to packaging, household items, and recreational products.Our aluminum bar products are available in various sizes, and we are also able to accommodate custom orders. Simply send us your component specifications, and we will be glad to help you bring your design to life.Quality is of utmost priority. All our locations carry ISO/9001 certification, and all employees undergo ongoing training to meet the exacting needs of our customers. We are also committed to helping customers meet their deadlines. With our just in time delivery system, we help customers maintain timely projects. We are one of the top-notch stockiest of Aluminum Hexagonal Bars which are used in various industrial applications. Constructed from premium grade raw materials, our range of rods are known for high-strength, excellent finish and longer life. 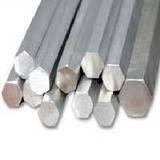 Our Aluminum hexagonal bars are offered in various specifications of sizes. 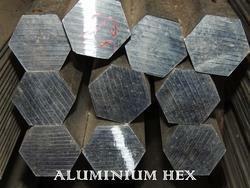 Hexagonal bars are created by passing aluminum ingots through a heated forge and pressing them into the desired shape. Hex bars are so common as to be ubiquitous. Common uses for hex bars include fasteners for machinery, gears, machine parts, structural components, automobile parts, and drive shafts. Aluminum is a popular choice for bar products because of its high strength-to-weight ratio, corrosion resistance, and low cost compared to other materials such as stainless steel. 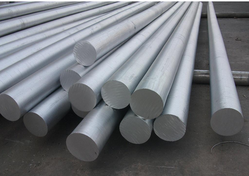 Certain aluminum alloys, such as the 6xxx series, have the highest tensile strength of any aluminum alloy, while other alloys are more resistant to corrosion or to high and low temperatures.